The Men’s DVD #1 presents all of the classes of the MEN’S BODYBUILDING COMPETITION. See all of the lineups, key comparisons and callouts plus posing by the top guys, and all awards, plus the OVERALL POSEDOWN, won by KANG KYUNG WON from South Korea. Pictured front cover. 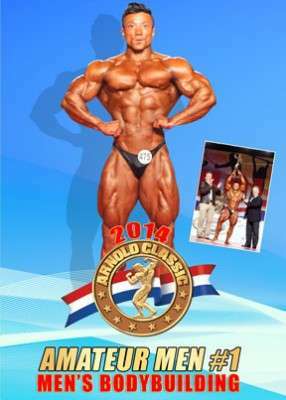 COMPLETE 2014 ARNOLD CLASSIC AMATEUR RESULTS, MEN & WOMEN. COMPLETE 2014 ARNOLD CLASSIC PRO RESULTS, MEN, WOMEN & STRONGMAN.